Nicholas II had absolute power over his country and its subjects – politically, legally and spiritually. The Tsar’s power was regarded as sacred, universal and complete. He believed in the concept of autocracy as the foundation stone of Russian society and upheld their divine and incontestable right to rule. But this model of governing proved to be unfit in a rapidly changing and modernising society. A chain of events occurred in the social, economic and political structure of Russia that led to the tragic, yet brutal, end of the Romanovs. Socialist organisations were gaining momentum from the end of the 19th century and many public figures, government officials and members of the royal family were murdered. In 1881, Tsar Alexander II was killed by a suicide bomber. The Church of the Savior on Blood is the spot where this attack happened in Saint Petersburg. In January 1905, trouble in Russia had greatly upset the Tsar when 120,000 socialists, mainly workers, marched in the streets to hand over a petition to him. The soldiers fired at them and nearly 100 people died and several hundred were wounded. The activities of the revolutionists created chaos and unrest in the country and the Tsar was greatly disturbed to read about strikes in schools and factories, murder of policemen and soldiers, riots, disorder and mutiny. Under these circumstances, the Tsar realised that the country was at the verge of a cataclysmic revolution because he had no option but to take a number of steps towards constitutional liberal direction. The emperor and autocrat of Russia was forced to sign the establishment of the Imperial Duma (an elected assembly) which could not function properly because the First World War developed badly for Russia. There was no reason for Russia to involve in the war, but leaders, diplomats and 19th century alliances created a climate of large scale conflict. On 30July 1914, Nicholas II of Russia took control of the army and ordered a general mobilisation of the army, which was not fully prepared. There were heavy losses. In the Battle of Tannenberg, the entire Russian army was annihilated. The Tsar lost loyal officers who could have protected the dynasty when combined forces of Germany and the Austro-Hungarian Empire counter attacked. Although the Tsar was the commander of the army, he was a weak and incompetent leader. Historians speculate that some of his decisions led to military defeats and deaths of millions of people. Blood flowed unendingly, the ranks became thinner and thinner and the number of graves multiplied. Defeat at the front caused disorder at home. There were shortages of food and fuel. People suffered and starved. In December 1916, the Tsar was cut off from public opinion. He was at the front while control of the capital was left with his wife Alexandra. The influence of Rasputin and Alexandra’s German background deteriorated the situation. People were very angry with Nicholas why he failed to remove Rasputin whose influence was destructive. Alexandra was even accused of harbouring treacherous sympathies towards Germany. Rasputin was murdered by a group of nobles. Nicholas desperately wanted to go into exile in the United Kingdom following his abdication, but the Labour Party and the Liberals raised objections. Even France declined to offer asylum to the Tsar family. On 22 March 1917, the Romanov family and their loyal servants were imprisoned in Alexander palace before they were moved to Tobolsk where they stayed in captivity between August 1917 and April 1918. They were shifted to many other places such as Mose, Omsk, Tiumen, Perm and Chelyabinsk. In April 1918, Nicholas, Alexandra and Maria were moved to Yekaterinburg. Alexei was too ill to accompany his parents and stayed with 3 other sisters at Tobolsk until May 1918. They were then imprisoned in Ipatiev House – “The House of Special Purpose”. The Bolsheviks had taken power in October 1917 and the Romanov’s destiny was to be decided. If alive, the Tsar would be a threat to the new power of the Soviets, speculated the leaders of the Marxist Russian Social Democratic Labour Party (Bolsheviks) who split apart from the Menshevik faction of the Second Party Congress in 1903. The Marxist leader Lenin (in 1917) joined the Bolshevik Party to overthrow the Provincial Government. Thus, this Bolshevik Revolution of 1917 became the political power of Russia in December 1917 and planned a complete end to the Russian monarchy. 16 July 1918 saw the Tsar family under Bolshevik custody at the Ipatiev House. On 25 July 1918, the House was empty when anti-Bolshevik forces recaptured the city. Where were the Romanovs? Who killed them? Where were their bodies taken? Were all of them murdered? 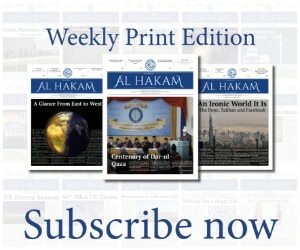 The questions remained unanswered and speculations prevailed. After Ekaterinburg was recaptured from Bolsheviks, an official enquiry into the disappearance of Romanovs was launched by Ural Provincial Government. Evidence was collected at the house and burial site and photos were taken by many investigators until Nikolai Sokolov (1882-1924) was given the task to complete the final report. The Soviet leadership confirmed the murder in 1926. The investigation took a century, but the report of Sokolov was the only reliable document until the fall of Soviet Union in 1991. Nikolai Sokolov wrote The Murder of the Tsar Family that was published in 1925, one year after his death. The details of the execution of the Tsar family (the Romanovs) could well have remained in shadow forever had it not been for the investigation work carried out by Sokolov whose papers later formed the basis for a further probe by the Russian and British authorities after the collapse of Soviet Union in 1991. He wrote that the murder of the Tsar family took place on 17 July 1918 in the Ipatiev House where the family was kept since 30 April. All those close to the family were also killed, notably Eugene Botkin, Anna Deimdora, Alexei Trupp and Ivan Kharitonov. They were shot, bayoneted and clubbed under the instructions of Lenin and orders of Ural Regional Soviet Union. The Tsar family lived in the basement from 30 April in very poor conditions and under psychological pressure and humiliating circumstances. After the brutal killings, their belongings were looted. Pyotor Voykor was to dispose of the dead bodies that were taken to the village of Ganina Yama where there was an abandoned mine. They took 750 litres of gasoline and 180 kilograms of acid (sulfuric acid) to dispose of 65 bodies so that “the world would not know what we did with them” said Pytor who was made ambassador to Poland in 1924, and was assassinated by a Russian in 1924. It is said that two others who were directly involved in the murder of the family were attacked and killed by peasants in the immediate months after the gruesome massacre. 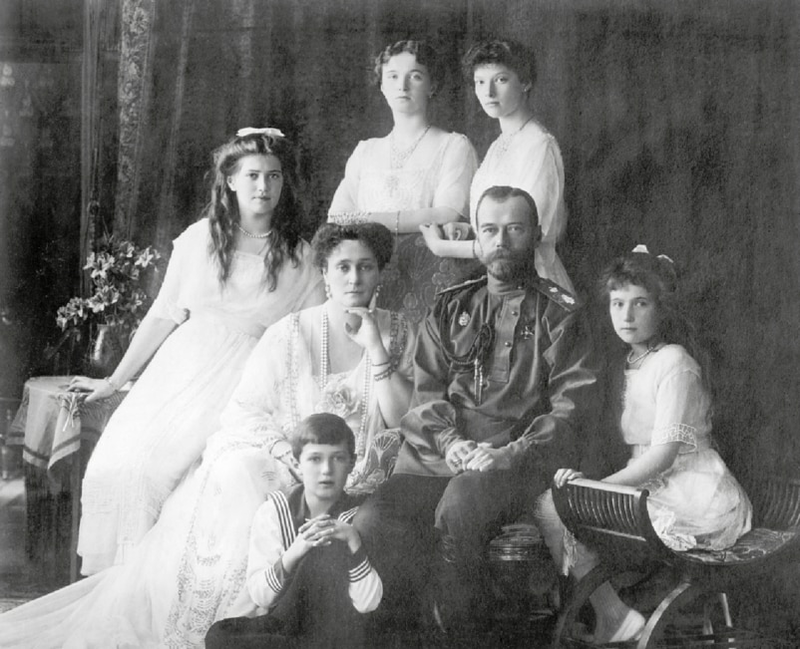 In July 1991, the bodies of five family members were discovered (Tsar, Tsarina and three daughters). After forensic examination and DNA identification, the remains were laid to rest in Saint Catherine Chapel of Peter and Paul Cathedral Saint Petersburg. The remaining two bodies of Tsarevich Alexei and one of his sister were discovered in 2007. In 2010, the Russian court ordered to re-open an investigation into the murder of Tsar Nicholas II and his family. President Boris Yeltsin described the killings as one of the most shameful pages in Russian history, reported the Associated Press on 18 July 1998. What happened to the Tsar and his family was a great tragedy, however what Hazrat Mirza Ghulam Ahmadas had prophesised was nothing short of miraculous and prophetic in accuracy. Hazrat Ahmadas predicted the agony and miserable plight of the Tsar during the time of great tribulation and catastrophe. This fulfilment confirmed the truth of the Promised Messiahas. We do confirm with absolute justice and honesty that whatever the Promised Messiahas prophesised was a fact and a testament to his truth.